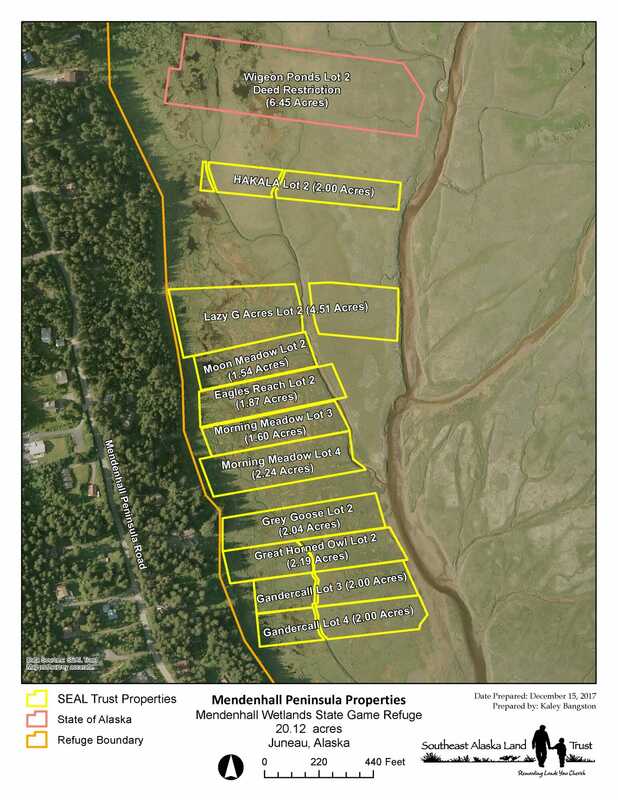 In addition to the 6-acre Wigeon Ponds property conserved in 2010, the Southeast Alaska Land Trust has acquired and conserved 10 other properties along the Mendenhall Peninsula through 2017 (see map). 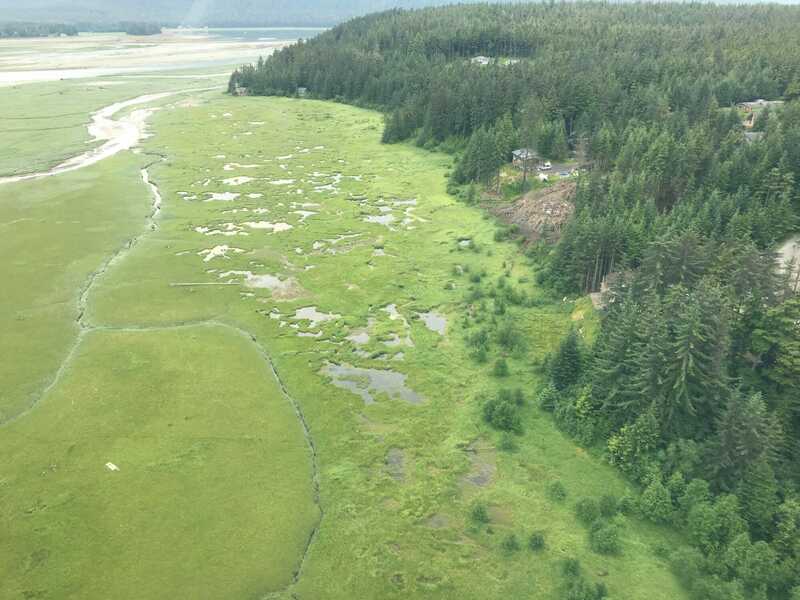 All of these properties are accreted wetland marsh that were once part of the Mendenhall Wetlands State Game Refuge. The properties provide both high and low marsh habitats that are critical for waterbirds, songbirds, and raptors. Designated as a globally significant “Important Bird Area,” the Mendenhall Wetlands support 255 bird species with the majority being migrants. In addition to habitat for birds, the wetlands on these properties provide a) groundwater recharge and discharge, (b) sediment and toxicant retention, (c) nutrient transformation and transport. All of these properties are adjacent to Casa del Sol Creek, which is an anadromous stream supporting Coho, Chum, and Dolly Varden salmon. Excellent walking and birding is available on these properties. The properties can be accessed from a public trail off of Mendenhall Peninsula Road.